Physical stores give consumers a place where they can come in and experience a brand in person. These stores are pivotal not just in creating that brand experience, but in connecting with a customer and establishing brand loyalty for the long haul. However, physical retail stores come with many expenses. How can your company ensure the highest returns from the brick and mortar investment? How to deliver the experience your customers want. Effective ways to explore how customers navigate your store, and how to make adjustments to optimize their journey. How to stay on top of trends so your store carries in-demand merchandise. 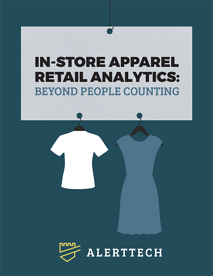 What areas of your retail operation do you want to improve using analytics? What specific questions would you like analytics to answer? How can analytics help answer those questions? What are the common challenges, and how can you overcome them?